We’ll diagnose, explain the issue, and maintain or repair it fast. Sears Home Services specializes in general service and repairs for most types of push lawn mowers. Whether you have a walk behind mower with blades that need sharpening, or a self-propelled mower that won’t start, we can help you get your mower back to full working order. Instead of worrying about a mower that isn’t cutting your grass like it should, call the experts. Our technicians are highly skilled and reliable, so you can get on with the job of cutting your grass safely and effectively. Wherever you bought your mower, if you are experiencing problems, contact us for service. Push lawn mower won’t start. Push mower won’t stay running. Need new push mower wheels or parts. Carburetor, air filter or spark plugs in gas lawn mower need attention. 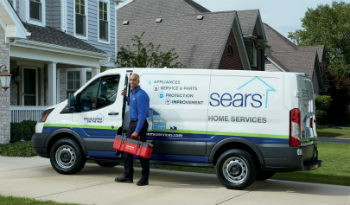 With Sears Home Services, you can drop off your push mower at one of our carry-in locations. Whether you have a self-propelled mower, walk behind lawn mower, or any other type of push mower, get in touch with us for any repairs you need.